Any questions for John Redwood? 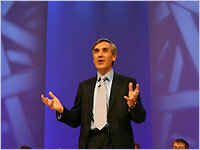 John Redwood has been Conservative MP for Wokingham since 1987 and is now Chairman of the Conservative Party's Policy Group on Competitiveness. A former Head of Margaret Thatcher's Downing Street Policy Unit he was Secretary of State for Wales from 1993 to 1995. He resigned in 1995 to challenge John Major for the leadership of the Conservative Party. His Eurosceptic, low tax campaign was defeated by 218 MPs to 89 MPs. He again stood for the Tory leadership in 1997 and was the penultimate campaigner to be eliminated - winning more votes than both his right-of-centre rivals, Peter Lilley and Michael Howard. His famous pact with Ken Clarke failed to stop William Hague being elected Tory leader. He was a surprise Shadow Cabinet appointment in 2004 when Michael Howard made him Deregulation spokesman. His appointment helped to persuade Eurosceptic voters who supported UKIP at the European elections to return to the Conservative Party. Please use the comments thread below to raise questions for John Redwood or email questions to [email protected]. Two weeks ago you raised a variety of questions for the Shadow Defence Secretary. ConservativeHome selected twelve of them and Dr Fox answers them all below. James Maskell: "The Conservative Party policy is to stay in Iraq. How long do you think that British forces should stay in Iraq?" Like everyone else here I want to see our troops come home as soon as possible, but that can only be done when we are confident that the Iraq we leave behind is a functioning, stable nation. To depose a brutal dictator only to leave behind a failed state would be a terrible legacy. Worse still, it would see Iran left standing as the regional superpower – a situation US and British foreign policy has spent almost thirty years trying to avoid. If we leave Iraq prematurely the answer to the question “who won the Iraq war?” will be: Iran. That would be the worst answer of all. Mark Clarke: "Conservatives often talk about overstretch in the armed forces. Do you agree that they are overstretched? And, if so, would you fix this by reducing troop commitments (in which case, where?) or increasing the size of the military (in which case, how much?)" The Armed Forces are certainly overstretched. This year we will spend only 2.2% of our GDP on defence. This is the smallest proportion of our national wealth that we have spent on defending our country since 1930 – yet we are asking our troops to do far more than the Government’s own Planning Assumptions have budgeted for. The gaps between going on tour are shrinking, putting soldiers and their families under ever-increasing strain. Until we have, as a Party decided what our foreign policy objectives are, we cannot formulate an appropriate defence policy – you cannot create a credible defence policy in a vacuum – so we cannot decide whether we need to spend more to match our level of commitments, or reduce our commitments to match our current level of spending. What is unavoidable is that we cannot continue as we are. The Party’s policy review committee is engaged in this at the moment, and I would not want to pre-empt their conclusions. Any questions for Lord Ashcroft? Michael Ashcroft was appointed a life peer in 2000. A former Treasurer of the Conservative Party he is now Tory Deputy Chairman and his responsibilities include target seats and opinion research. Last year Lord Ashcroft wrote a comprehensive review of the Tories 2005 General Election campaign. He recently purchased 42% of Watford FC and a 3-0 victory over Leeds last Sunday saw 'The Hornets' secure promotion to the premiership. Please use the comments thread below to raise questions for Lord Ashcroft or email questions to [email protected]. ConservativeHome hopes to publish Liam Fox's answers to your questions soon. The questions are being submitted to the Shadow Defence Secretary today. 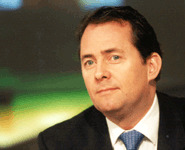 Trevor Kavanagh, author of his own blog at The Sun, answers your questions. Guido Fawkes: "Why is The Sun so enthusiastic a supporter of Gordon Brown?" Not sure you have been reading the Sun as carefully as your question suggests you are.... or that Gordon Brown would agree with you. Chad: "In thirty words or less, how does Mr K think the Tories can win the next election?" By Labour continuing to act as they are, imploding and backbiting. Governments lose elections. Also by speaking up more on key issues like tax, welfare and illegal immigration. RobC: "To what extent does the Sun (and other papers) reflect public opinion and to what extent does it create public opinion?" It reflects rather than creates. The public's intelligence should not be underestimated. Chris Palmer: "Under any circumstances, would you be willing to become David Cameron's press advisor?" It's too late for an old dog to learn new tricks. Simon S: "Do you regret the paper you work for branding those who voted against NuLab as 'traitors'?" I have no regrets about working for The Sun. Chris D: "Do you think that the emergence of minority parties, a resurgent LibDem party, tactical voting, increased voter apathy and devolved government in Scotland and Wales has changed the political landscape beyond recognition?" The evidence of last week is that the Lib-Dems are not resurgent. Far from it. The remarkable story about the local elections is that disgruntled voters moved straight to the Tories without stopping en route. Michael McGough: "Many commentators (and Chris Patten) have said that the Tory Party should be in favour of proportional representation, as they are so disadvantaged by the way boundaries are currently configurated. Do you believe this is a good idea or should they go for a pact with the LibDems?" PR inevitably leads to coalition government. Coalitions are invariably bad news, wherever they occur, because minority parties form the tail that wags the dog. PassingThru: "Has he ever been mistaken for Sean Connery?" The upside is that sometimes I get better tables in restaurants, but downside is that the tips have to be commensurate. Presidentmonkeon: "Why not have comments on your blog?" We carry emails from readers which are only censored if they are gratuitously offensive. Chris Palmer: "What is, in your opinion, the most important story you have covered in your time as a Journalist?" The entire Thatcher years were a non-stop most important story. Any questions for Liam Fox? 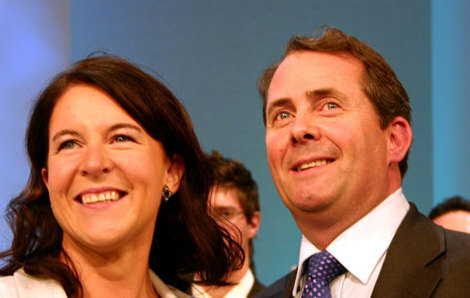 Liam Fox was a GP before becoming MP for Woodspring in 1992. He was a minister at the Foreign Office for the last year of the Major government. In opposition Dr Fox has been Shadow Health Secretary, Party Chairman, Shadow Foreign Secretary and is now Shadow Defence Secretary. He contested the Tory leadership last year and emphasised leaving the EPP, supporting the war in Iraq, human rights and mending Britain's broken society. He was eliminated from the contest to succeed Michael Howard in the second round of voting amongst Tory MPs. Last December he married Dr Jesme Baird, director of patient care at the Roy Castle Foundation. He recently used an interview with GMTV to state that the Conservative Party must balance its new emphasis on green and justice issues with "traditional Conservative policies of wealth creation and of national security and of being tough of crime and so on". Your questions for Dr Fox should be posted on the comments thread below or emailed to [email protected]. A bit later than promised, Tim Montgomerie, Editor of ConservativeHome.com, answers your questions. Mike Walsh: "When the site was initally launched, it was designed by Politicos. It was very different then, only one blog. More like a website than a blog etc. What was the reasoning behind switching to TypePad so soon after launching?" The main reason was expense. Politicos and other specialist website designers charge thousands of pounds for their products. TypePad is not without its drawbacks but it costs $15 a month and is in many ways a much more flexible platform. I think a lot of people pay far too much for websites. MPs, in particular, could save a lot of money by hosting their constituency sites with firms like TypePad. When the internet first began firms and individuals published exactly the same sort of stuff onto their websites that they would publish in a hard copy pamphlet or annual report etc. There was no interaction. The best sites now harness the Wisdom of Crowds and involve the general public in helping create the content for their site. That is why I have become an enthusiast for as open a blog as possible (within constraints of taste and decency). Ben Rogers: "Can you tell us what your plans are for your 2nd year?" Not yet, Ben. All I'll say is that if my plans materialise ConservativeHome will be unrecognisably different at the end of the second year and 1000% bigger. Any questions for Trevor Kavanagh? From 1983 until the recent appointment of George Pascoe-Watson, Trevor Kavanagh was Political Editor of The Sun. He now writes a regular 'blog' for Britain's best-selling daily newspaper. Mr Kavanagh was an enthusiastic supporter of Margaret Thatcher throughout the years in which The Sun cheer-led for the Tories. It is said that he was against The Sun's 1997 decision to back New Labour but he did not protest publicly if he was. A supporter of the Iraq war Mr Kavanagh's most recent claim to fame was the exclusive, leaked preview of the Hutton Report that he gave to Sun readers on the morning of its publication. Questions for Mr Kavanagh can be left in the thread below or emailed to [email protected].